Coming back from the Toastmasters Conference in Poznan - Poland - we had a stopover in Leipzig. A lovely medieval city in Germany where my favorite baroque composer – Johann Sebastian Bach, is buried. St. Thomas Church (Thomaskirche) was the place where he was choir director from 1723 until his death in 1750. And even now, the choir of the Thomaskirche, the famous Thomanerchor, founded in 1212, is one of the oldest and most famous boys' choirs in Germany. I always find visiting churches a fascinating experience. The devotion and, in many cases, obsession of mankind with trying to reproduce God’s image and to reach Him through their art and music, can many times be overwhelming. However, none of those expressions can diminish the faith and artistic value of their actions. 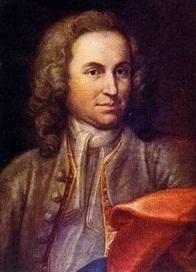 Music, I believe, is the closest and purest communication with God -- and all invisible forces/energies -- that mankind has ever achieved, and Bach’s music is a perfect example of this. Ever since an early age — I started playing piano when I was 6 — I felt connected with something when playing, or listening to, any piece by Bach. There is always a dialogue in his music — called counterpoint: the relationship between voices that are harmonically interdependent — which, on the piano, can be clearly felt with each hand. Sometimes these dialogues are harmonious, other times they are not, but in most cases, despite all dissonances, the dialogues always finish in an agreement, in harmony, as if an inner and deeper peace is found. I was absorbed by my thoughts listening to the Bach music that was playing in my mind, trying to imagine what it would have been like to be there, with him playing in that very church I was walking around at that moment; feeling the powerful energy emanating from the church (I believe all churches have a different energy), finding peace and enjoying the moment. My emotions were already flowing through my body when I reached Bach’s tomb at the centre of the church’s altar. I thanked God, the Universe, for occasionally sending to this planet people who leave such a strong and beautiful legacy, as Bach did. Gracias Maestro por ayudarme con tu música en uno de los momentos más difíciles de mi vida. This piece of music is for you. Nice tour de force. Obrigada, amiga.